The former Queen of Naboo, Senator, and mother of Luke and Leia is getting her story told in novel form, according to a new report from Jedi-Bibliothek. The German fansite noticed a listing for a new young adult (YA) novel in the Panini Comics 2018 catalogue titled Star Wars: Padme Amidala. The author for the novel has not as of yet been revealed. The novel will hit shelves on April 28th, 2018. Padme is a character that has largely been left unexplored by Star Wars publishing (both new canon and Legends), so she is long overdue for some adventures on the page. 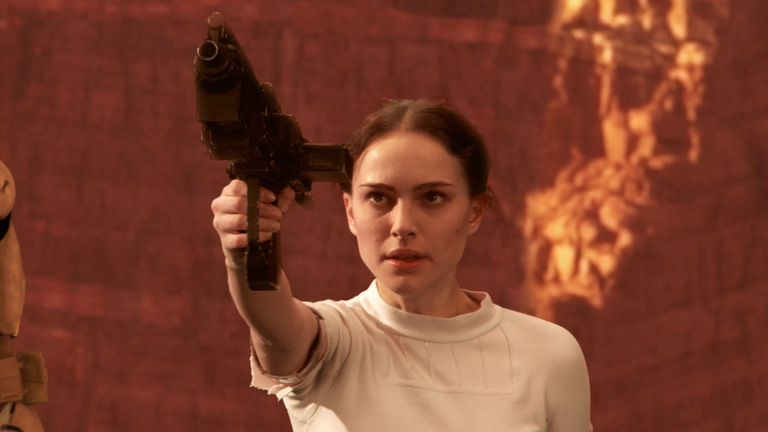 The YA novels have done an excellent job exploring the lives of young female characters (both Leia Organa and Jyn Erso had YA novels tell the story of their teenage years come out recently) and a Padme novel set between The Phantom Menace and Attack of the Clones has the potential for some serious political intrigue. Disney Publishing has released at least one new YA Star Wars novel every year since 2015 (Lost Stars in 2015, Ahsoka in 2016, and Rebel Rising and Leia: Princess of Alderaan in 2017). The YA novels have generally been better received than most of the adult fiction (with certain exceptions) released over that same period of time (Lost Stars and Rebel Rising are especially good in my opinion). Star Wars: Padme Amidala hits shelves on April 24th, 2017. Have there been any updates about this. I am very much looking forward to it.